Today, I am so proud and honored to bring to you a interview with the greatest ICON of all time, The Living Legend Bruno Sammartino. Bruno is such an amazing guy with great stories. He has went threw so much in his life and overcame the odds. From growing up a thin kid in Italy with not alot of money to coming to america and becoming one of the most recognized and well respected people in the world. He has won numerous championships and even weigh lifting competitions. He trained with Lou Ferrigno and Arnold. He has worked the top names in the wrestling world from USA to Japan and all over the world. What many people don’t know is that Bruno body slammed Andre the Giant on a house show and slammed the 600 pound plus monster known as Haystacks Calhoun. He is also the man who gave Larry Zbyszko his big break in the wrestling world, which led to the most famous steel cage match in history. He is the longest reigning WWE World Champion and in my opinion, the best WWE Champion ever. He won the WWE Championship with an impressive combined 11 year run as champion (4,040 days). Bruno retired from wrestling in 1981, then returned to WWE in 1984 for brief stint where he had a high profile feud with the late Macho Man Randy Savage. His final WWE match, he teamed up with Hulk Hogan to take on King Kong Bundy and One Man Gang. He has sold out Madison Square Garden more then any celebrity in the world. In 2013 he finally accepted to be in the WWE Hall of Fame and WWE made a statue for him as well. Bruno has done it all. He is a great model for everyone and the most well respected. I can’t say enough great things about him. 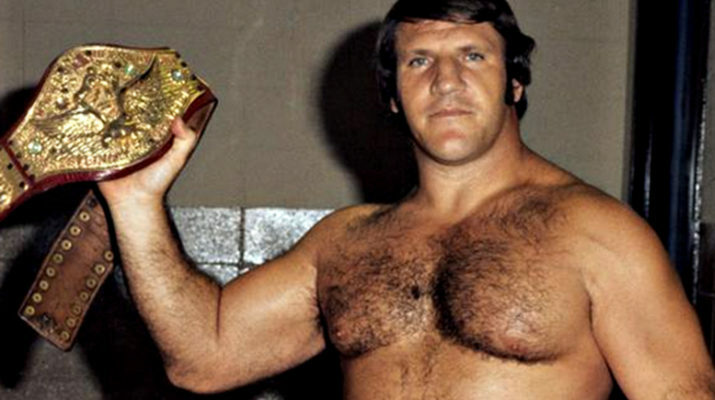 Below is the audio interview with the ICON Bruno Sammartino. The interview went out for a good 40 to 45 minutes, Bruno was an amazing guy to talk to and so nice. The audio cuts out at the very end. The only thing that cut’s out from the interview is Bruno and Tales from the Turnbuckle saying goodbye to each other. Check out Bruno Sammartino’s website by clicking here and you can order his book on the site as well! !